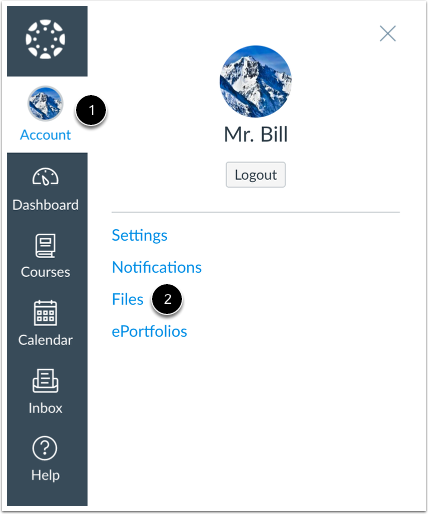 Personal files include profile pictures and other files uploaded to your personal Canvas file storage area. By default, each user has 50 MB of storage space in Canvas. View your files. To add a file, click the Upload button. Browse to a file on your computer and click the Open button. To create an empty folder, click the Add Folder button. Previous Topic:How do I navigate a Canvas course as an observer? Next Topic:How do I view course files as an observer? 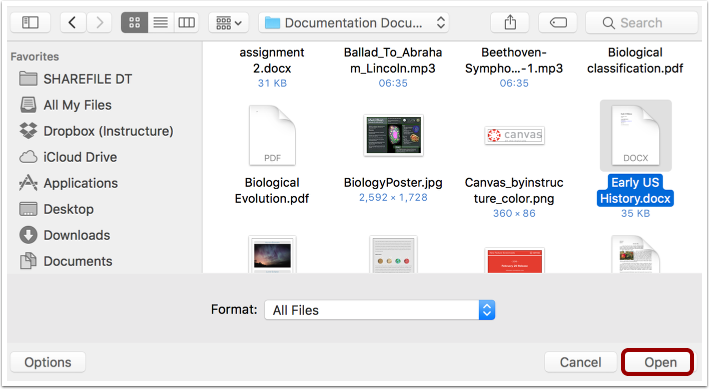 Table of Contents > Files > How do I view my user files as an observer?